With rising costs of healthcare and increasing incidence of critical illnesses, medical expenses beyond your means can arise at any time. Medical emergencies are stressful enough; having to worry about how to pay for one can make things unnecessarily difficult. Knowing you have access to funds to pay for medical treatment in case of illness or emergencies not only gives peace of mind but also protects your financial plan from going haywire. 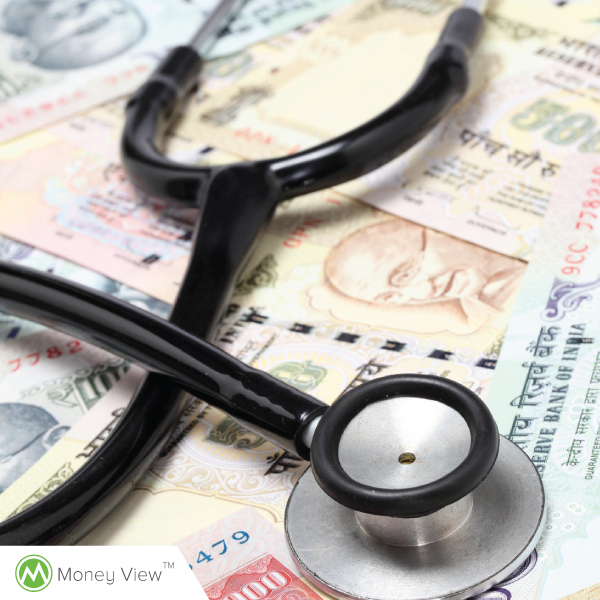 Here are five things to be familiar with as you go about buying health insurance in India. Health insurance products are commonly promoted by insurers at lowest premiums to make them look more attractive and affordable. This “basic” plan covers only the cost of inpatient treatment or hospitalization subject to conditions and limits. It does not cover you against incidental costs or loss of earning due to medical emergencies or critical illnesses. Moreover, many medical conditions are excluded from basic cover such as pregnancy and childbirth, existing illnesses, lifestyle diseases, etc. These eventualities can be covered with the help of riders and add-ons. This enhances your premium payout marginally but protects you from unforeseen expenses. You can choose to cover yourself for better (more expensive) inpatient facilities, daily cash expenses and one-time payouts in event of critical illnesses like cancer, heart attack, etc. Most insurers have large networks of hospitals and providers. In metros and large cities, this is not a problem with most healthcare chains accepting multiple insurers. It can become a problem if you are in a small town, or if you are moving to a region where your insurer does not have a great network. Make sure you check your insurer’s provider network where you reside or where you might need to move to. Most establishments have arrangements for cashless treatment, where they will transact directly with the insurer. With new players coming into the health insurance field regularly, it is but natural not all of them will have the same breadth or depth of provider network. The Insurance Regulatory and Development Authority (IRDA) stipulates a free look-in period of 15 days of commencement of the policy. The policy document is a lengthy, technical piece of writing, and you might be tempted to give it a pass. But hey, you are putting your signature to a document, one that is essentially an agreement to terms and conditions between you and the insurer. Read the document carefully to understand exclusions, limits, and breach of contract. You can return the policy within 15 days with no questions asked if you do not like the terms and conditions. 4. How Much Is Enough? The sum assured should be decided on the basis of your future medical needs. Costs rarely come down, so factor in all possibilities. At the same time, balance it against your present income and budget and how much you can comfortably put out towards medical insurance. From 2011, continuity benefits and coverage are both portable in India. You will not lose your no claim bonus if you switch providers. Even if you are part of a group insurance, you can port to a different provider by first porting to an individual plan with your previous insurer and then porting to a new provider at least 45 days prior to the last date for renewal. Most insurers will be happy to sweeten the deal at least for the first year’s premium. You can also take advantage of comparison sites like policybazaar.com or policyboss.com. Many people fear if they fully disclose their medical history, including family history of critical illnesses, they might be at a disadvantage. On the contrary, withholding of medical information is one of the major grounds on which claims can be denied. The insurer being able to unambiguously, accurately and comprehensively calculate your risks and premium helps avoid unnecessary conflicts at the time of settlement. There is a growing school of thought questioning the need for health insurance once all other aspects of your financial plan are in place. However, only a small percentage of people have all aspects in place. For most of us, having adequate and appropriate health insurance can be a boon when push comes to shove. Keep these points in mind when buying health insurance in India, and you should be well covered. Let us know your tips, tricks and experiences, good and bad, with buying health insurance. Subhorup Dasgupta is a Hyderabad-based writer and artist. He writes about responsible living at his blog, Subho’s Jejune Diet. A family floater is one of the best health insurance plans for family health care. A family floater primarily insures the policyholder, spouse, and children (2-3) but there are Insurance companies that provide family cover for extended families as well. Thanks for sharing a detailed article. Keep posting. Thank you, Jay. Glad that you liked the article.